At the beginning of November 2009 nine fighters from the BCKA and their coaches travelled to Dublin, Ireland to participate in the WKC World Championships as part of the WKC England Team. The fighters fought exceptionally well and came away with a total of 9 medals - 8 bronze and 1 silver. After months and months of hard work and training there was a great feeling of optimism and excitement amongst the group. The journey to Ireland was not the most ideal with ferry delays and bus changes adding considerable time and finally, after a gruelling 24 hours travelling, the team reached their destination just in time for the weigh in. The location of the world championships was the City West Hotel, a leisure resort on the outskirts of Dublin. The team stayed at the hotel for the week of the world championships which made things very easy and convenient. There was a relaxed yet energised atmosphere against the backdrop of a peaceful leisure resort with the sense of great things to come. The next day as the tournament was about to commence immense excitement could be felt amongst all the competitors as each country and its team were introduced into the arena. Rows and rows of fighters stood shoulder to shoulder as the opening ceremony played out and there it was...the world championships had officially begun. 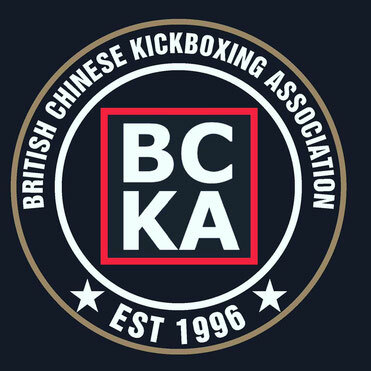 On day one of the event the BCKA had four fighters in action kicking off with Sarah Simpson and Kevin Williams fighting simultaneously in their respective light continuous categories (-55kgs women’s and -65kgs men’s) and both finishing up with well deserved bronze medals. This was an excellent start for the BCKA contingent of the WKC England Team and an omen for the rest of the competition. Next to fight was Jo Luck competing in the women’s -65kgs light continuous category. After a hard two x2 minute rounds, Jo narrowly (and some might say wrongly) missed out on a place in the final, losing out to the eventual world champion but still gaining a bronze medal. Last and by no means least it was Nicola Gemmill’s turn to showcase her talent and extraordinary kicking ability in the -55kgs girl’s semi contact (points) category. After several hard fights Nicola won herself a bronze medal, another one for the BCKA collection. The most notable moment of her campaign was in taking the reigning world champion and tournament favourite to extra time and then eliminating her in the first round. And it was this performance that resulted in her inclusion into the Girl’s Points Team Event. A bronze medal for each fighter that fought on the first day was a fantastic start to the competition for the fighters from the BCKA. With the success of the previous day still fresh in the mind the fighters from the BCKA due to compete on the second day of the tournament were keen to impress. Kevin Williams and Sarah Simpson were competing again in their respective semi contact (points) divisions and Katie Grant, Richard Faller and Ryan Winham were all scheduled to fight also. Kevin competing in the -65kgs semi contact (points) category had tough competition in his section but he put in a strong performance, winning his second bronze medal of the championships missing out on the final to an England team mate who went on to become world champion. After yesterday’s bronze medal in light continuous, Sarah was now set to tackle the -55kgs women’s semi contact (points) division. And in this division Sarah managed to repeat her success from yesterday and came away with another bronze medal taking the BCKA medal total to 6 bronzes. Next to fight was Richard Faller in the -60kgs men’s semi contact (points) division. Despite putting in a strong performance, Richard was overcome in the first round but most certainly did not put himself to shame. In the +70kgs women’s semi contact (points) section Katie Grant made her world championship debut in style. Sweeping aside her first opponent in an assured fashion, Katie found herself in the semi final against American opposition. Showing great form on what was her best performance to date, Katie took her to extra time. This extra time in itself was questionable due to some poor refereeing and score keeping in normal time which ultimately cost Katie a place in the final after the American edged victory. Still she was pleased with her well deserved bronze medal. Last to fight on day two was Ryan Winham in the boy’s +70kgs light continuous. Being one of five England team members, with only three allowed to compete within the category, Ryan had to fight off for his place on the mat. Fighting someone considerably older and larger than him Ryan put in an inspiring, courageous performance but the height and age difference just proved to be too much. After another successful day on the mats the BCKA spent the rest of the evening relaxing and unwinding ahead of tomorrow’s fighting, the last of the categories before the finals were due to take place on day four. With a total of 7 bronze medals the BCKA contingent began the third day of the championships. Scheduled to fight today were Alexander Barrowman, Ryan Winham and Luke Smith in the boy’s semi contact (points) sections and Nicola Gemmill in the girl’s semi contact (points) team event. First to fight was Luke Smith in the boy’s –60kgs semi contact (points) category. Unfortunately the fight did not go his way and he lost 2-1. Next were Alexander and Ryan in the boy’s +70kgs semi contact (points) division. Ryan again put an impressive amount of hard effort into his fight but narrowly lost. However he and his coaches were extremely pleased with his performance. Alexander fought strongly first against an American fighter, taking the tie to extra time and in the end beating his opponent. Next he fought a Canadian showcasing some of his speed and skill but closely missing out on a place in the semi final. Due to his strong performance he was selected to compete again in the boy’s team event. The team events were the next to take place with a team of five fighters from each country facing each other. First to fight were the girl’s team with BCKA’s Nicola Gemmill involved. The girl’s team fought strongly and wrapped up their place in the final within three or four fights without Nicola even needing to put her gloves on. Alexander’s team did not fare so well losing the semi final 3 fights to 2 yet came away with a bronze medal for their efforts. After the fighting finished on day three the team retired for some well earned rest and recreation in anticipation of tomorrow’s finals and podium presentations. Nicola was set to compete in the final of the girl’s team event and six of the BCKA fighters had medals to collect on the podium – so an exciting day ahead. The final day of the world championships began with much expectation; this was the day of all of the finals of all categories and subsequent podium glory. One by one each of the BCKA medal winners took their place upon the podium holding their England flags and being presented with the medals they had fought so hard for. In between the girl’s semi contact (points) team participated in their final against the Canadians with our Nicola Gemmill drawn (somewhat unfairly) against the largest member of their team who was nearly twice the size of her. It was a closely fought contest but the Canadians just took the victory and Nicola gained a silver medal to add to her ever-growing collection. Once all the medals had been collected and the fights fought the tournament was over. All that was left now was the closing party and the long journey home. The BCKA fighters attended the party and had a great time being able to ‘let their hair down’. There was food, drink and dance offs, the only downside was the early start the team had the next day in order to travel home. All in all the world championships proved to be an awesome experience for all of the BCKA team. The fighters fought exceptionally well and came away with a total of 9 medals, however this would not have been possible without the support and guidance of the coaches, Alex Barrowman, Mick Dempsey and Michael Dempsey. Mick also spent a lot of time being a light continuous judge and was even asked to judge the finals which he was pleased to do. Also as usual with the BCKA, the support for each other whilst fighting and from those who had also travelled with the team to spectate was amazing and much appreciated. Now with world championship experience behind them, these fighters from the BCKA are set to go forward and achieve great things in the future.